Hi Friends! The Lord has seen fit to lead me into a few insights recently. I attempted to compile them all into one post but it was a discombobulated mess that seemed to go on for days! Most of this is new territory for me and perhaps it will be for you, so I've decided to break this up into bite size parts. Hopefully, this will allow us to spend the appropriate time, reference the applicable Scriptures, and let the Word of God accomplish what it will in our lives. I'm excited to explore ideas, avenues and truths that are not your common Bible study fare and have not been exhausted, even among eschatology enthusiasts. I will try to site Scriptures where new ideas are represented or to provide interesting context, I won't go into an exhaustive study on the basic doctrine. Have you ever wondered about the war in Heaven when the Devil and his angels fell? Have you ever wondered who or what demons are? Have you ever wondered what we are going to be doing for eternity? Have you ever contemplated why we don't have that information? Here is a clear spiritual truth: The Bible is specific to this 7000 year period of man on Earth. That's it, no more, no less - we don't know much about what God was doing before the Earth was created and we don't know much about eternity after the Millennium. We see that the angels were witnesses to the Creation (Job 38:4-7), so we know that they were around before the Earth. Psalm 8 appears to be written from an angel's point of view, right after the Creation because it states that God walks with man (Psalm 8:4). We do not know the timing of Satan's rebellion but we do know that by Genesis 3, he was already the enemy of God. We know how the rebellion began in Satan's prideful heart (Ezekiel 28:17) and we know that he sought to exalt himself above the Most High (Isaiah 14:13-14). Jesus says that he saw Satan thrown down from Heaven like lightening (Luke 10:18) but we are not quite sure when this took place! In addition, we are not told much about eternity, except the most salient point which is the assurance that the church will be with the Lord always (1 Thessalonians 4:17). Revelation 22:14-15 is totally confusing if you try to study it through the "eternity" filter. Sin? Unsaved people? How can that be in eternity? The mistake stems from Rev 21:1, the new Heaven and the new Earth. This looks like eternity but it's not. Like 42% of Revelation, it's taken directly from the Old Testament: Isaiah 65:17 and Isaiah 66:22. Taken in context this is clearly the coming age of Israel - the thousand year reign of the Lord on the Earth; the Millennium. Once we understand that the Bible was written for yesterday, today, and tomorrow and that tomorrow only goes as far as the end of the Millennial Kingdom, we can study the Scriptures with increased discernment and understanding. Long term Abigail and Dolley readers will know that we love Bible Prophecy here. We need to encourage one another and reassure our troubled souls that these days might be dark but there is a plan and there is a God and we do not lose. But let's be frank, have you ever thought, "What the heck is going on at the end of the Book of Revelation?" I have! Our basic text for this will be the last two chapters of the bible, read Revelation 21 and 22 to get started. Here's today's spiritual truths: In the Book of Revelation, there are two cities named Jerusalem. They both come down from Heaven and the city we know as Jerusalem is largely destroyed. What happens to Jerusalem as we know it today? The rubble falls into the chasm and is buried forever with the living water that flows from the new temple and the new city. Jeremiah 4:23-28 describes the condition of the Earth at the second coming, basically destroyed. Isaiah 24:19-20 confirms the utter destruction. The latter part of Isaiah 61 describes the Millennial Kingdom and speaks of rebuilding the desolate and destroyed cities (Isaiah 61:4). Let's look at the Scripture: Rev 21:1-3 And I saw a new heaven and a new earth: for the first heaven and the first earth were passed away ; and there was no more sea. And I John saw the holy city, new Jerusalem, coming down from God out of heaven, prepared as a bride adorned for her husband. And I heard a great voice out of heaven saying , Behold , the tabernacle of God is with men, and he will dwell with them, and they shall be his people, and God himself shall be with them, and be their God. We must understand the new Heaven and the new Earth; the earth is wiped out after the Tribulation. Also, this is a quote from the Old Testament: Isaiah 65:17 and Isaiah 66:22. Taken in context this is clearly the coming age of Israel - the thousand year reign of the Lord on the Earth; the Millennium. So we are talking about Israel here. The next verse says she is adorned like a bride, not that she IS the bride. Finally, God proclaims that his tabernacle is with men and that he will dwell with them. We know men don't dwell in New Jerusalem. In the same chapter, we move forward six verses to Rev 21:9-10 and the angel of the Lord takes John to another place to see the bride of the Lamb. This is clearly a different place, a different city, yet both have descended out of Heaven made by God. The Sheer Size of New Jerusalem make it impossible (well, nothing is impossible for God) for the city to be physically on the earth. 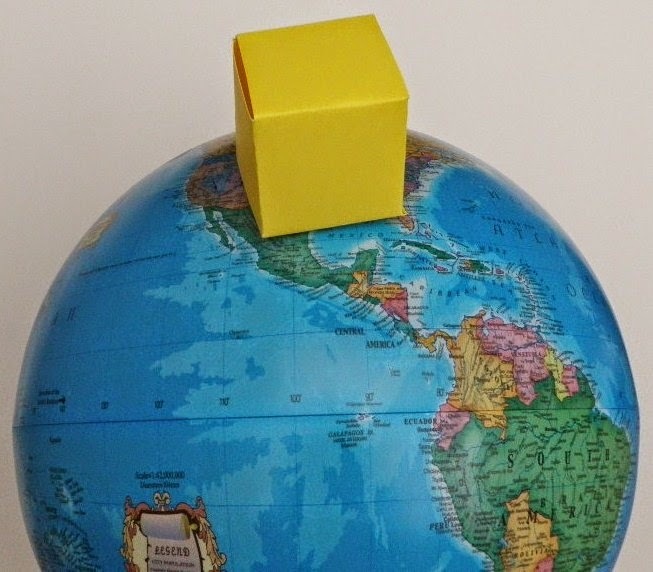 1450 miles square... this is equivalent to the entire east coast of the US to the Mississippi River.... Our atmosphere is only 300 miles tall, what would attaching a gigantic cube due to a perfectly balanced spinning planet? How would the rest of the world receive light if the city was on earth? The below picture is not exactly to scale but you get the idea of how massive New Jerusalem is. Hi Friends! This is the Third Part of an ongoing study, I invite you come along while we look at the way God relates to people through the ages. 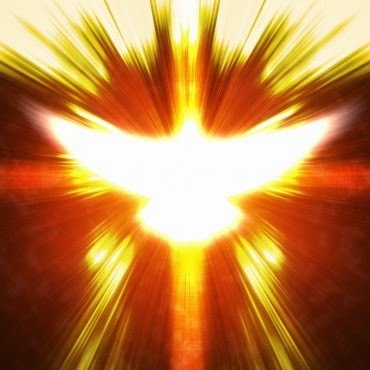 Our big spiritual truth in this lesson is: The sealing and indwelling of the Holy Spirit is unique in all the ages and is reserved exclusively for the Church. 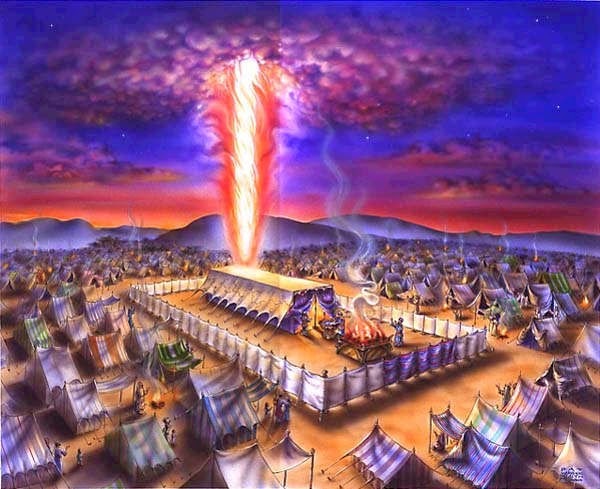 God related to the Jews in the Old Testament through the prophets but also by direct contact, he poured out His Power in miraculous signs, wonders, and pillars of fire. He spoke to the people from the Heavens (and scared them to near to death Exodus 19:19) so much so that they asked that He not do it anymore and speak through Moses, Exodus 20:19. God continued to speak with the Jews through external sources, miracles, and the prophets until the Lord Jesus came. Then He spoke directly to the Jews, not in a thunderous voice from the Heavens, but through His Son. We have to realize that Christ's ministry was only to the Jews while He was on this Earth. That's tough to swallow, especially if you come from a replacement theology background, but it is the truth. Read Jesus own words to the Canaanite woman who was seeking healing for her daughter: But He answered and said, "I was sent only to the lost sheep of the house of Israel." But she came and began to bow down before Him, saying, "Lord, help me!" And He answered and said, "It is not good to take the children's bread and throw it to the dogs. "… (Matthew 15:24-26) So His ministry was not to the Gentiles of the church, it was to the Jews, period. 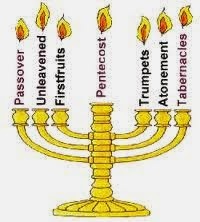 The Lord related to the Jews directly until Pentecost, from that point forward - the Church Age began. The Lord is present on the Earth through His Church but because we are in the flesh, we have never fully manifested the Power that He promised; we don't move mountains, we see healing rarely if ever, we lose more often than we win in political and cultural battles. We are, by and large, puny in power from a magnificence manifestation perspective. Yet the Lord himself said he would lay the foundation of the church and the gates of hell shall not prevail upon it. I believe our power will be perfected in the Millennial age - stay with me while I explain. Tribulation Saints are exhorted several times to remain faithful to the end so they do not lose their salvation. They will be given a portion of the Holy Spirit but will have to be obedient and faithful to retain their position. (I invite you to study the subject of Post Church Salvation by Jack Kelley) These are the Bridesmaids in the Parable, all are given a measure of oil (the Holy Spirit) at the time of their salvation but they did not endure to the Second Coming. Keep in mind, that the Tribulation is God's dealing directly with Israel. What happens to the rest of the world is secondary, the age of the Gentiles will be finished and they are once again outside of the focus of the Lord. That's another harsh truth to the replacement theology folks but one needs only to read the words to discover it is truth. I believe that it is while we abide with the Lord in New Jerusalem that the church, who is now the Bride of Christ will come to full power. 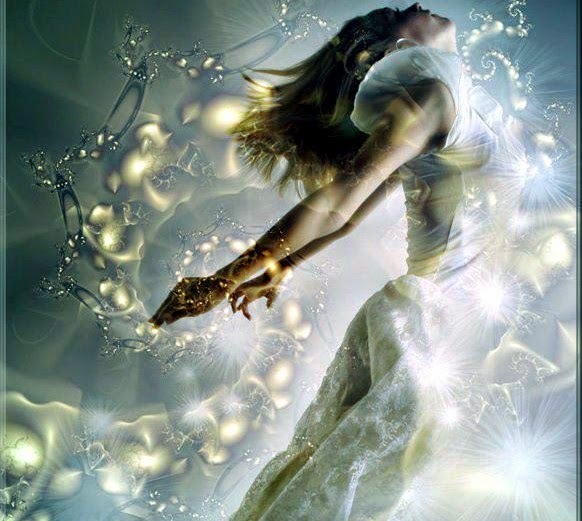 Since we will have been perfected and operate only in the true spirit and truth fully aligned with the perfect will of God we will manifest His Power. We will speak to the mountains and they will move, we will pray for the sick and they will be healed, we will be as Christ was on Earth completely sinless and fully surrendered to the will of the Father. (John 14:11-13). We will live in New Jerusalem with the Lord Jesus but we do not know what we will be doing there, whether we will come down to Earth, or exactly what our roles will be but we will soon find out! Abigail and Dolley readers bakers will tell you, that once you learn the science of bread baking, it becomes an art. The nuisance of flour, water, yeast, humidity, and temperature insure that no loaf of bread is identical. Much like the daily walk of faith, we experience the richness of our lives in the variety of the bread. We bake a lot of bread around here; the theme of bread is spread through the Scripture. Bible believing Christians should reject the evolutionary theory diets and consider the wholesome and heady art of homemade bread; we've never looked back. From a Biblical perspective, the rule of first mention finds the term to be one of struggle to feed. Genesis 3:19 is where God is passing sentence on mankind and the earth for the fall. The context of bread is that it will cause man to sweat to eat it, toil and hardship from the ground. The world suffers from hunger and toil; the soil is cursed because of the fall. The Hebrew word is Lechem and means bread, food, grain but the root word of Lacham means to fight and to do battle. We also have Unleavened Bread with first mention in Genesis 19:3 of the word Matshsah, in context, Lot is hosting the two angels who have come to destroy Sodom and he feds them unleavened bread. 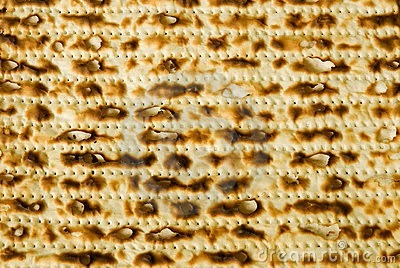 We also see Chametz in Exodus 12:15 used to describe unleavened bread and used in the same sentence as Matshsah. Chametz has as it's root word Chamets which means to be cruel, sour, or red. Manna in Exodus 16:15 from the Hebrew word Man which literally means, "What is it?" it's root word being Mah and is used the first time, when God says to Cain, "What have you done?" Genesis 4:10. Expanding further, we have Challah and Raquiyq as cakes and wafers introduced in Exodus 29:2 which was the consecrated bread of the priests. For centuries, the Jews have celebrated the Passover Seder never realizing the Messianic significance of the breaking of the bread, the hidden bread broken and hidden away. The matzah bread eaten on the first day of the Feast of Unleavened Bread is a symbol of the pierced, stripped, and broken body of Christ. The process that Jewish bakers employ to insure there is absolutely no yeast or rising of the bread is heroic in its adherence to the law but yeast exists in the air, it grows on our bodies; it symbolizes sin. Conversely, in the New Testament, the word is Artos which means bread or to eat – Matthew 4:4 the first mention being made by Satan, when he tempts the Lord to turn rocks into bread. Christ quotes Deuteronomy 8:3 where the Hebrew word Lechem is used. Jesus tells us he the bread of life, (John 6:35) that those who would partake of his sacrifice will live and reign with Him forever. At the Last Supper, he took the bread and broke it, the giving it to his disciples and commanding them to partake in his body, broken for them. After His resurrection, it was the breaking of the bread that revealed his identity to the two disciples that had walked with him on the road to Emmaus. (Luke 24:30-31). Where man has had to struggle since the fall under the weight of sin and death, Jesus Messiah's sacrifice did what no mere man could have ever done, He redeemed the bread. This is the 4th Study in a recent series that I've titled the Millennial Study, I'd invite you to study the first three as this blog builds on the work we've already done. The Traditional location of the Temple is incorrect. There will be two more temples - The Tribulation Temple and the Millennial Temple. The implications of Robert Cornuke's recent discoveries are mind boggling and a perfect revelation for our time. The Holy Spirit within me quickened to this video and a light bulb popped on when Cornuke points to Jesus Prophecy that no stone will be left standing, (Luke 21:6, Matthew 24:2 and Mark 13:1-2) why have we as Christians thought that was to come? Why have we not taken the Word of the Lord literally? I believe it is because that was closed to us, like much of what is pouring out on the Body of Christ in these times. Consider the irony of the Jews praying at a Roman wall instead of the Temple wall - God's chosen people, so blinded, are worshiping at a wall built by the spirit of Anti-Christ to dominate and control them. For it is clear in prophetic scriptures that the city of the seven hills is Rome and will be home to the False Prophet during the Tribulation. Perhaps this discovery will pave the way for the next Temple, not to be built beside the Dome of the Rock but either in Shiloh (where Ezekiel describes the Millennial Temple) or in the site they have uncovered in the Old City. I cannot say, but it is absolutely clear in Scripture, that there is another temple coming. From the destruction of Herod's Temple in 70 AD, there has been no functioning temple on Earth for the Jews to offer sacrifice but is it fair to say that there has been no temple and that there is not temple here on Earth? Consider 1 Corinthians 6:18-20, would it be fair say, in light of this passage that to assert there is no temple on the Earth now is incorrect? I think I could make a good argument that we are the temple, the indwelt believer is the temple, where the Lord lives on Earth during this time, throw in 1 Corinthians 3:16 as a supporting Scripture and I think it's a valid point. 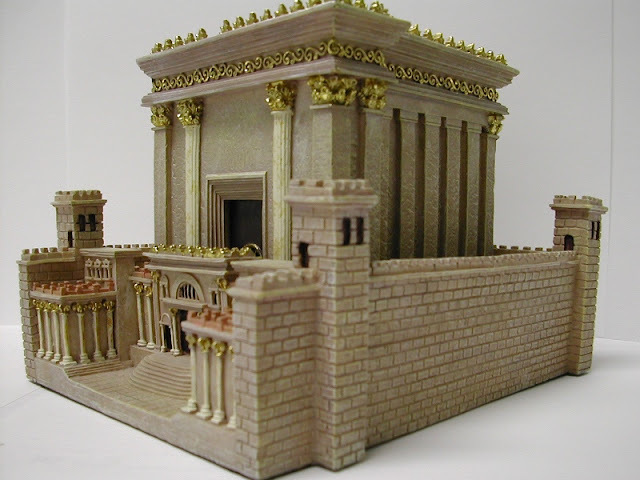 Right now, as we speak, the Temple Institute is working and planning for the next Temple. The miraculous delivery at the hands of God in the Ezekiel 38-39 war will draw all of the Jews home to Israel and ignite within them the essential reestablishment of Temple worship (Ezekiel 39: 21-22). Isaiah 49:22-23 outline the nations that will assist. Remember, at first Israel will not know that the Anti-Christ is their enemy, he will come as a man of peace and they will accept him as a great ruler. It is the signing of the treaty with the Anti-Christ that establishes a treaty and allows for the rebuilding on the Temple that triggers the beginning of Daniel's 70th week (Daniel 9:24-27). At the midway point in the seven year treaty, Anti-Christ will enter the temple (2 Thes. 2:4) that he has helped the Jews rebuild and will commit such an atrocity that it is called the Abomination of Desolation (Matt. 24:15), declare himself God, and kick off the Great Tribulation. Scriptural references: Daniel 11:31 (the first occurrence during the Maccabees Revolt), Daniel 9:27, Daniel 12:11, Rev. 13:14-15. In the second part of this series on the Millennium, we looked at Jerusalem and the logic behind the assertion that Jerusalem as it exists today will be largely destroyed by the Mount of Olives Earthquake. If you have not already done so, please refer to Two Jerusalems. For this, portion of discussion, let's just rely on common sense and what we know about the Lord. Do we honestly believe that during the Millennium that the Lord will take up residence in a temple that was built through a rebellious nation of Israel, approved by the Antichrist, and desecrated by Satan? Again, God can do anything but this does not seem to jive with what we know about Him. After he returns, he enters into Jerusalem victorious and sets up his throne in the Temple, it makes sense that this temple has been created in Heaven and is part of the new Holy City we watch descend in Rev 21:1-3. The latter part of Ezekiel, regarding the Temple have always been a source of confusion for the church. Many Bible teachers completely dismiss this writing as gibberish. Why would there ever be a working Temple when Jesus was the sacrifice for all time? Scripture is clear on that point (Hebrews 10:12), but the closer we get to the end of the age, the clearer the future becomes. God does not deal in falsehoods and would not have given Ezekiel such detailed revelations had they not been for a future purposes. For there will indeed be Millennial temple, a working temple, where a new form of Old Testament worship will again be practiced for the Jews in Jerusalem and throughout the Earth. (We touched on this in How God Speaks Through the Ages.) We'll look at Millennial Salvation in depth later. I hope you have enjoyed this exciting subject, it is truly an exciting time to be a believer and a follower of prophetic events! Abigail and Dolley readers in today's study, we are going to look at further Scriptural evidence for the ground we covered in Part 1 - 4. As the eyes of my understanding have been opened, familiar words and Scriptures take on new meaning. We've established a number of things mainly that there are two places named Jerusalem, that God makes both, and both come down from Heaven at the Second Coming and that the Jerusalem that exists today will be destroyed. This study will look at references to the temple in the book of Revelation and shall elaborate and support the work we've already done. Revelation 3:12 Him that overcometh will I make a pillar in the temple of my God, and he shall go no more out: and I will write upon him the name of my God, and the name of the city of my God, which is new Jerusalem, which cometh down out of heaven from my God: and I will write upon him my new name.. - In context, this Scripture is to the persecuted church at Philadelphia who is spared the hour of temptation upon the earth. It seems those believers get their names carved on pillars in the temple that will come down from heaven. Revelation 7:14-17 ... And he said to me, These are they which came out of great tribulation, and have washed their robes, and made them white in the blood of the Lamb. 15 Therefore are they before the throne of God, and serve him day and night in his temple: and he that sitteth on the throne shall dwell among them. 16 They shall hunger no more, neither thirst any more; neither * shall the sun light on them, nor any heat. 17 For the Lamb which is in the midst of the throne shall feed them, and shall lead them unto living fountains of waters: and God shall wipe away all tears from their eyes. - These are the tribulation martyrs, who are in the temple in Heaven. The above Scripture confirms that there is no sun in the Millennium and that they shall serve in God's temple in the Holy City, where the living waters shall flow. Revelation 11:1-2 And there was given me a reed like unto a rod: and the angel stood , saying , Rise , and measure the temple of God, and the altar, and them that worship therein *. 2 But the court which is without the temple leave out, and measure it not; for it is given unto the Gentiles: and the holy city shall they tread under foot forty and two months. Revelation 11:8 And their dead bodies shall lie in the street of the great city, which spiritually is called Sodom and Egypt, where also our Lord was crucified . In context, we are back on earth during the Tribulation. There is a rebuilt Temple in the earthly city of Jerusalem. The two witnesses from God are proclaiming God's message to a wicked city that will not listen, spiritually Sodom and Egypt. This supports the assertion that Jerusalem as we know it today will be judged completely. Revelation 11:19 And the temple of God was opened in heaven, and there was seen in his temple the ark of his testament: and there were lightnings, and voices, and thunderings, and an earthquake, and great hail. This Scripture is plain - there is a temple in Heaven and the Ark of the Covenant is in it. Revelation 14:15 Revelation 14: 17 Revelation 15:5-6 Revelation 16:1 These Scriptures show that God is launching avenging angels from his Heavenly Temple during the Tribulation. Revelation 15:8 - this is a fearsome place and fearsome power exuding from it. His wrath upon the earth is a matter of solemn gravity. Revelation 16:17 we see that God finishes the vial judgments from his temple. Revelation 16: 18 And there were voices, and thunders, and lightnings; and there was a great earthquake, such as was not since * men were upon the earth, so mighty an earthquake, and so great. 19 And the great city was divided into three parts... shows the utter destruction of Jerusalem as we know it today. I trust the above will serve as further evidence and proof text. 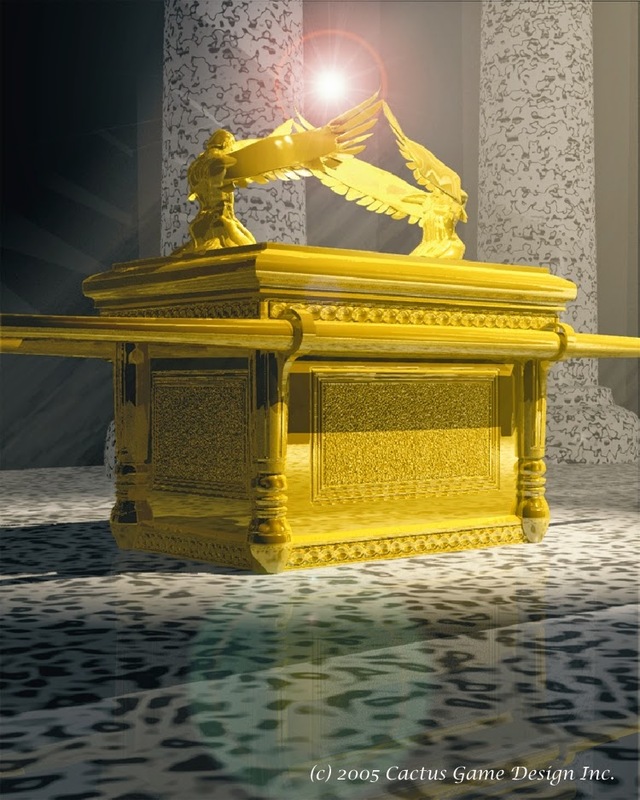 So mystery solved, we've found the Ark of the Covenant... it's in the temple in Heaven which will one day soon come down to earth and God will reside with man in the holy city. Abigail and Dolley readers I want to take a moment to thank you for your faithful readership of this blog. I know that many of you are visiting from the far reaches of the world and it is a humbling. May the Lord bless you in your study and readership. Please let me know if I can pray for you. My heart has been troubled with thoughts of the Tribulation Saints. These people are probably alive right now and could even be reading these words, though I doubt it. What is a Tribulation Saint? Those who have been deceived by a false religion. 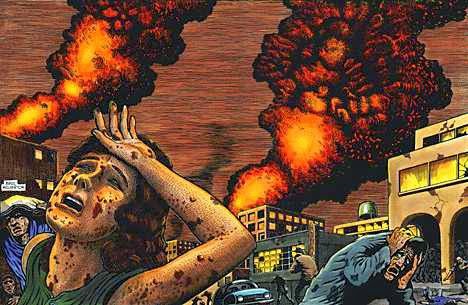 The staying alive part is no easy task - the Scriptures lay out that most of the world's population will be killed during the Tribulation. Psalm 27 is a perfect Scripture for those future Tribulation Saints. It speaks of hiding from enemies, being separated even from mother and father, and depending on the Lord for protection. The Lord calls to you, "Come to Me, all who are weary and heavy-laden, and I will give you rest. Take My yoke upon you and learn from Me, for I am gentle and humble in heart, and YOU WILL FIND REST FOR YOUR SOULS.…"
Research into the marriage customs of ancient Jews as it relates to the Rapture and the Bride of Christ led me to an interesting thought. I considered writing a blog about this but I try not to regurgitate other people's work so if you are unfamiliar with the marriage customs, I'd invite you to read The Bride and also Marriage in the Bible. For our purposes here, I'd like to concentrate and study the Virginity Cloth in Hebrew call the Chuppah. Did the Lord leave such a physical reminder? Briefly, the Bridegroom would pay the bride price for his wife and then would spirit her away to her bedroom where they would consummate the marriage. The virgin bride would lay a cloth under her as proof of her virginity. Afterward, the Bridegroom would pass the cloth to his waiting groomsmen and the witnesses would testify that the bride had been a virgin on her wedding night. The cloth would then serve as proof thereafter. This is a bit out of order for the marriage custom for the bride and the groom do not consummate until his return but I do not know of any teacher or theory that states we will consummate our marriage to the Lord after the Rapture, so in essence the theory is plausible. 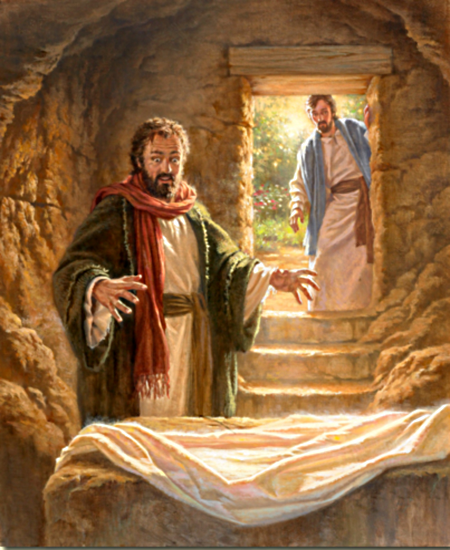 Since the Lord was without sin, he was the virgin on the wedding night, his tomb was the bridal chamber. He is the hero, he is the savior, he is the groom. So what of these cloths that He passed to His closest friends? Peter and John are undoubtedly the closest disciples and retrieve the cloths from the bedchamber. Where are these now? I present that they are in Spain and Italy. 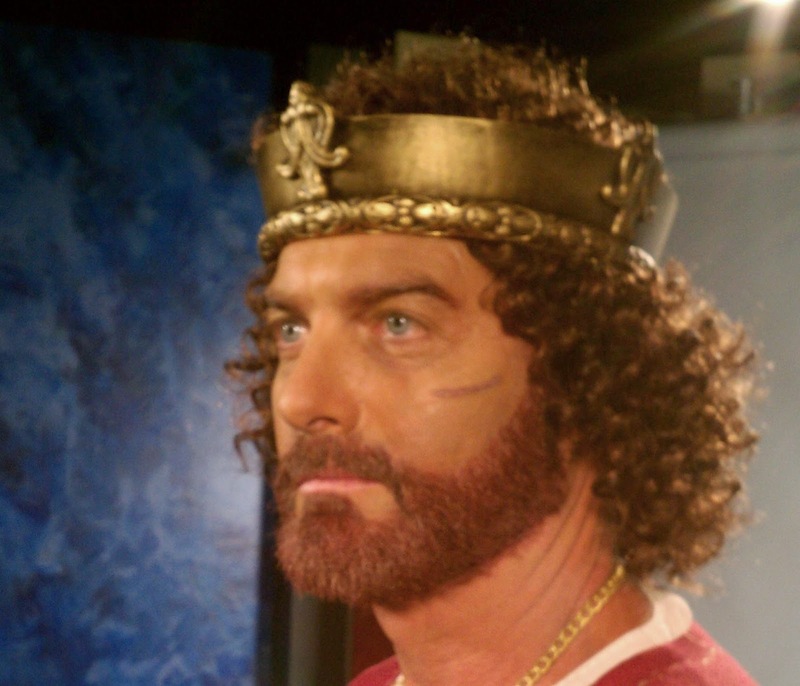 The head cloth is called the Sudarium of Oviedo and is in Spain and the Shroud of Turin is in Italy. Study of these two cloths can consume hours, days, and even decades but there is compelling evidence that these are indeed the articles retrieved from the tomb. Is the cloth ever mentioned again in Scripture? Perhaps, look at 2 Timothy 4:13, Paul asks Timothy the cloke that he left with Carpus. The word for cloke in the Greek is phelones, (Strong's number 5341) it is used only once, here. The word is thought to be a derivative of phaino (Strong's number 5316) which does not mean clothing or garment but light - to bring forth the light. It is extrapolated that the image on the shroud was caused by a pulse of light brighter than a nuclear explosion. So Paul was not asking Timothy to bring him a coat, for he does not use the possessive mine but "the" and he does not use the Greek word for clothing, raiment, or robe. It is highly likely that Paul in his travels would present the cloths as evidence of the Lord's sacrifice just as Fathers would produce the virginity cloth as proof of their daughters virginity. So when scoffers come forth and claim that the Lord was not sacrificed, that he was not raised, we are called forth to present the evidence - the physical evidence of his sacrifice and suffering. We can do so today with both cloths. Jeremiah 33:15-17 In those days and at that time I will cause a righteous Branch of David to spring forth; and He shall execute justice and righteousness on the earth. In those days Judah will be saved and Jerusalem will dwell in safety; and this is the name by which she will be called: the LORD is our righteousness.' For thus says the LORD, 'David shall never lack a man to sit on the throne of the house of Israel. Isaiah 2:1-5 "And many people shall go and say, Come ye, and let us go up to the mountain of the Lord, to the house of the God of Jacob; and he will teach us of his ways, and we will walk in his paths: for out of Zion shall go forth the law, and the word of the Lord from Jerusalem. And he shall judge among the nations, and shall rebuke many people: and they shall beat their swords into plowshares, and their spears into pruning hooks: nation shall not lift up sword against nation, neither shall they learn war any more." Isaiah 4:2-6 (AMP) In that day the Branch of the Lord shall be beautiful and glorious, and the fruit of the land shall be excellent and lovely to those of Israel who have escaped. And he who is left in Zion and emrains in Jerusalem will be called holy, everyone who is recorded for life in Jerusalem and for [a]eternal life, After the Lord has washed away the [moral] filth of the daughters of Zion [pride, vanity, haughtiness] and has purged the bloodstains of Jerusalem from the midst of it by the spirit and blast of judgment and by the spirit and blast of burning and sifting. And the Lord will create over the whole site, over every dwelling place of Mount Zion and over her assemblies, a cloud and smoke by day and the shining of a flaming fire by night; for over all the glory shall be a canopy (a defense of divine love and protection). And there shall be a pavilion for shade in the daytime from the heat, and for a place of refuge and a shelter from storm and from rain. Isaiah 35, Isaiah 41:18-20, Micah 4:1-8, and Psalm 2 Are a mix of the first and the second coming, the Joy that overflows in these chapters is contagious. Isaiah 60:10-22 “You have been hated and left empty with no one passing through. But I will make you great from now on; you will be a place of happiness forever and ever." Isaiah 11:6-9 The nursing child shall play over the hole of the cobra, and the weaned child shall put his hand on the adder’s den. 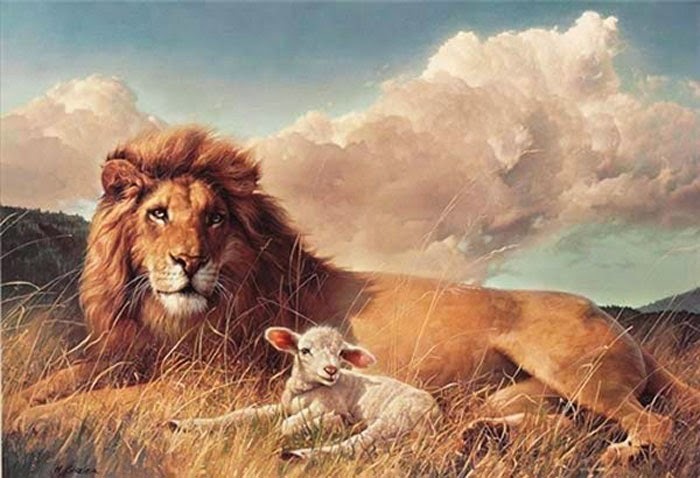 Ezekiel 34:25 I will make a covenant of peace with them and eliminate dangerous animals in the land, so that they may live securely in the wilderness and sleep in the forest. Isaiah 60:19-20 "The sun will no longer be your light during the day nor will the brightness from the moon be your light, because the Lord will be your light forever, and your God will be your glory. Your sun will never set again, and your moon will never be dark, because the Lord will be your light forever, and your time of sadness will end. Isaiah 65:17-25 "For, behold, I create new heavens and a new earth: and the former shall not be remembered, nor come into mind. But be ye glad and rejoice forever in that which I create: for, behold, I create Jerusalem a rejoicing, and her people a joy. And I will rejoice in Jerusalem, and joy in my people: and the voice of weeping shall be no more heard in her, nor the voice of crying. There shall be no more thence an infant of days, nor an old man that hath not filled his days: for the child shall die an hundred years old; but the sinner being an hundred years old shall be accursed. And they shall build houses, and inhabit them; and they shall plant vineyards, and eat the fruit of them. They shall not build, and another inhabit; they shall not plant, and another eat: for as the days of a tree are the days of my people, and mine elect shall long enjoy the work of their hands." Ezekiel 43:6-7 Then I heard Him speaking to me from the temple, while a man stood beside me. And He said to me, “Son of man, this is the place of My throne and the place of the soles of My feet, where I will dwell in the midst of the children of Israel forever. No more shall the house of Israel defile My holy name, they nor their kings, by their harlotry or with the carcasses of their kings on their high places. Abigail and Dolley readers we just don't hear about Hell much anymore at least not from a Biblical perspective. Hollywood produces tons of demonic and satanic "epic battle" films. A recent example is the Seventh Son, released in February 2015. It is about a portal opening and evil coming out in at the red moon. 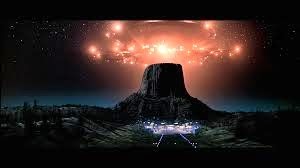 We've been inundated with movies that give a glimpse of things to come, after all, when the world goes crazy, people will remember the plots they saw in movies and readily accept the new reality. From Aliens, to Zombies, to Shape Shifters, to Super Humans, to the Apocalypse the world has been fed a steady diet of Hell on Earth. There is coming a time, when there will indeed be Hell on Earth and people will readily receive the lies. 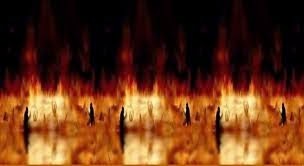 Hell is a real place, Jesus told the story of the rich man and Lazarus which is the most straight forward presentation of Hell in the Scriptures. The basics of Hell are thus: Prior to the cross, there was a Paradise section of Sheol where the righteous abide until Christ, after His death, went and got the Old Testament Saints and took them to Heaven leaving the Paradise section empty. There is a torment section of Sheol (Hades/Hell) where the unrighteous and the wicked remain today. Every unbeliever that has ever died has consigned themselves to this place of fire, sulfur, and eternal damnation. At the end of the Millennium, at the Great White Throne Judgement, Hades will give up its dead and all will face the final judgement. Those not found in the Lamb's book of life will be cast forever into the Lake of Fire. During the Millennium, there will be a literal gateway to Hell where men will look upon those who have transgressed against the Lord. Isaiah 66:22-24 "For just as the new heavens and the new earth Which I make will endure before Me," declares the LORD, "So your offspring and your name will endure. And it shall be from new moon to new moon And from sabbath to sabbath, All mankind will come to bow down before Me," says the LORD. "Then they will go forth and look On the corpses of the men Who have transgressed against Me. For their worm will not die And their fire will not be quenched; And they will be an abhorrence to all mankind." You do not have to go there, you can repent of your sins and accept Christ today. I beg of you, do not send yourself to this terrible place! Abigail and Dolley readers I think it is universally accepted that the teenage years are difficult. THE most difficult might very well be 13. The last year of Middle School, the beginning of puberty, and the forming of the personality and social group identification that will steer most kids through their High School years and beyond. It is a year of awkward growth spurts, or lack thereof - a year of acne, mean girls, and teenage angst. As spheres of friendships move beyond the neighbors, life long friendships that once were close fade to a distant memory as kids grow up and apart. No parent enjoys watching their kids struggle but it is part of life and to shield them from these trials can be detrimental to their development; compassion, perseverance, strength, and resilience can only be learned through trial. All this said, it's still hard for a parent to feel warm and fuzzy about a child who has hurt yours. Parents of children who are bullied, will immediately understand this sentiment. I am dealing with such an instance, but this snub has come from child that has been in my house for many years; who I have been fond of, who I've fed, who I've carted around, and welcomed hundreds of times. 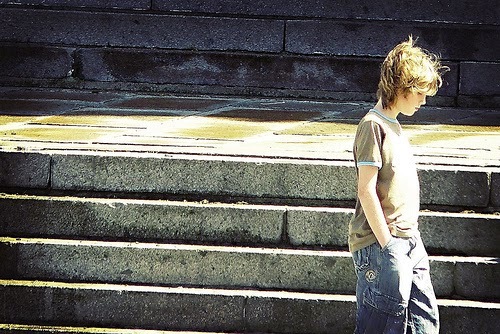 Over the last few years, my son would have appreciated his long term friend's support and companionship - instead this boy seized the fact that his major social competition was out of the way and began a nasty little war against my son. 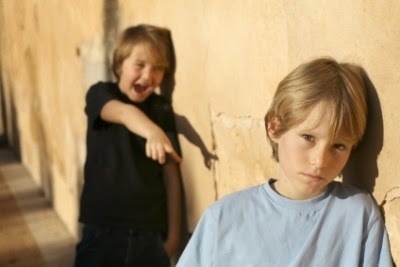 Not only did he withdraw his friendship but then he sought to do my son harm, for which he has been quite successful. As such, I've had to constantly pray and give this over to the Lord. I am angry, the Mama Bear in me is riled, and I'd like to pinch his head off. Yeah, keepin' it real around here at Abigail and Dolley. I'm human. So I'm in the yard today and I once again had to give it over to God. I prayed, "I'm just so mad that he has hurt my son. We've been good to him and this is how he acts? Lord, I'm having a hard time." Very clearly, I felt the Lord say, "Yes, I feel the same way about my Son."